Elsewhere, I provided an overview of what is termed energy medicine. This holistic approach to healing believes that our physicality is subordinate to and interactive with our overall energetic nature. It is a healing philosophy at the core of numerous alternative-health disciplines, such as acupuncture, qigong, yoga, homeopathy, healing touch, indigenous healing, etc. Under this philosophy, if we are compromised through illness or injury, rebalancing who we are energetically through such healing modalities lays the foundation for physical renewal. This article reviews another energy-based approach to healing, specifically body-awareness tactile imaging. As discussed in Robert Bruce’s book Energy Work: The Secret of Healing and Spiritual Development (Hampton Roads, 2011), the technique uses kinesthetic (i.e., touch) visualization to direct healing energy to an area of need. 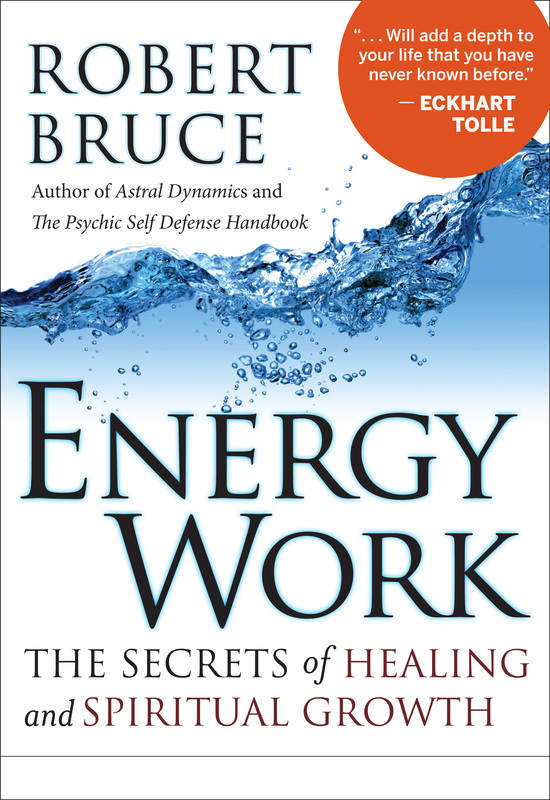 Although based on the esoteric insights, of many ancient wisdom traditions, Bruce has integrated and simplified them into a context more assimilable to the modern Western mind. Because he used the techniques himself after sustaining non-paralyzing, spinal injuries, Bruce’s book includes specific visualizations relevant to SCI. Although we usually think of sight when it comes to visualization, all senses can be used. For example, picture yourself wading through the surf on a beach in Hawaii, watching the sunset (sight), listening to the waves crash on the reef (sound), sniffing the fragrant plumeria in your lei (smell), sipping Kona coffee (taste), and feeling the gritty sand wash between your toes and the surf foaming up your legs (touch). Of all these possibilities, the tactile-imaging process specifically involves the last type of visualization. Alternatively, envision yourself in your backyard reading a book. A fly lands on the back of your neck and starts crawling around. You swat at it, but the pesky fly lands again an inch away, slightly moving the annoying sensation. Watching this, your mischievous wife surreptitiously rubs a feather over your neck hairs, and, thinking that the fly has returned, you swat again. After her laughter recedes, you have now become hypersensitive to the minutest tactile sensation on the back of your neck, whether it’s your wife, the breeze, or real or imagined bug. The more you try to stop thinking about that fly crawling on you, the more it becomes the focal point of your attention. As Bruce states in his book, “where your attention goes, your energy flows.” Hence, if you have a cervical injury, the focus on the real or imaginary bug crawling up and down your neck actually directs energy to the vicinity of your injury. Although a silly example, it does, indeed, represent the body-awareness-tactile-imaging process. However, instead of a crawling bug, Bruce’s tactile-stimulation procedures routinely incorporate visualizations of a feather, paint brush, wet sponge, or energy ball moving up and down and through the area of interest. Again, this is a kinesthetic visualization, in which the sensation is provoked, through tactile imaging. Sometimes, the process is best initiated by actually stroking with a paintbrush, feather, etc. But as soon as possible, physical action should be stopped and kinesthetic visualization started. As indicated in the spinal visualization below, combining the kinesthetic stimulation with color visualizations can be helpful. Although these are simple processes, readers are encouraged to initially look at Bruce’s book to get an appreciation of the diverse tactile-imaging visualizations available. In one of his key visualizations, on inhalation, you would sense the feet being brushed by a paintbrush and, in turn, that sensation coming up the legs, up through the back and neck to the top of the head, completing the inhalation. When exhaling, feel the energy moving down over the face and chest, ending up in the area just below the naval. This brings energy to a key energy storage ce nter called the lower dantian in Eastern traditions. Hopefully, when you energetically stimulate various sensations by such tactile visualizations, you may be able to transfer some of the energy into the spinal-cord injury area. Individuals with paralysis should first get familiar with the process in body areas unaffected by paralysis, and then try to extend the tactile sensations into regions of paralysis. 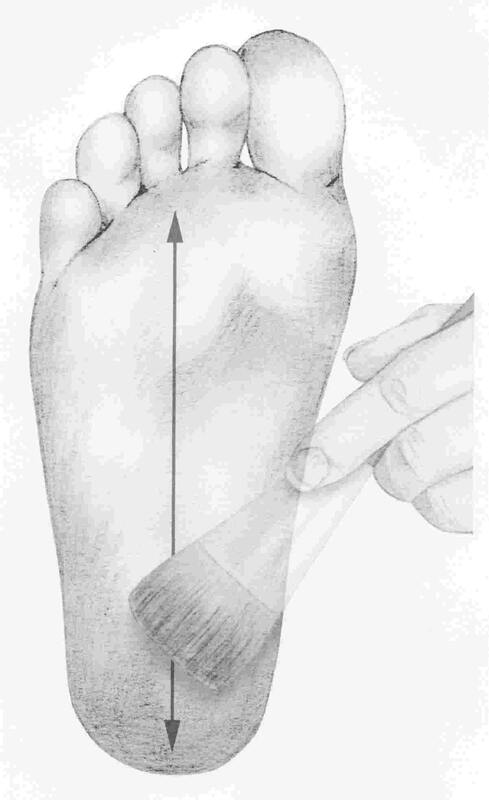 Once they become familiar with the sensations, they can direct it into to the injury area. This may stimulate the physical body’s own cellular, self-repair mechanisms more strongly than usual. Elsewhere, I provided several qigong meditative visualizations for SCI similar to the ones described by Bruce. These tactile-imaging visualizations are related to a scientific phenomenon called “premovement neuronal activity,” in which premovement thoughts trigger the firing of neurons. In addition to Bruce’s approach, this phenomenon is relevant to numerous other healing modalities that incorporate such visualizations. Bruce believes that tactile-imaging techniques are clearly amenable to scientific scrutiny. For example, electronic devices could assess nerve-stimulation activity before and after tactile-imaging procedures have been initiated, and the movement of the focal point of body awareness tracked. Clearly, there is nothing to lose by using these visualizations. Although walk-on-water improvements shouldn’t be anticipated, it is important to note that in SCI there are often intact, but dormant neurons that still go through the injury site. Studies have shown that you only need a relatively small percentage of working neurons to retain or regain significant function below the injury site. As such, if tactile-imaging techniques can energetically jump start even a few surviving neurons or, alternatively, trigger even minimal neuronal regeneration, some life-enhancing function may accrue. 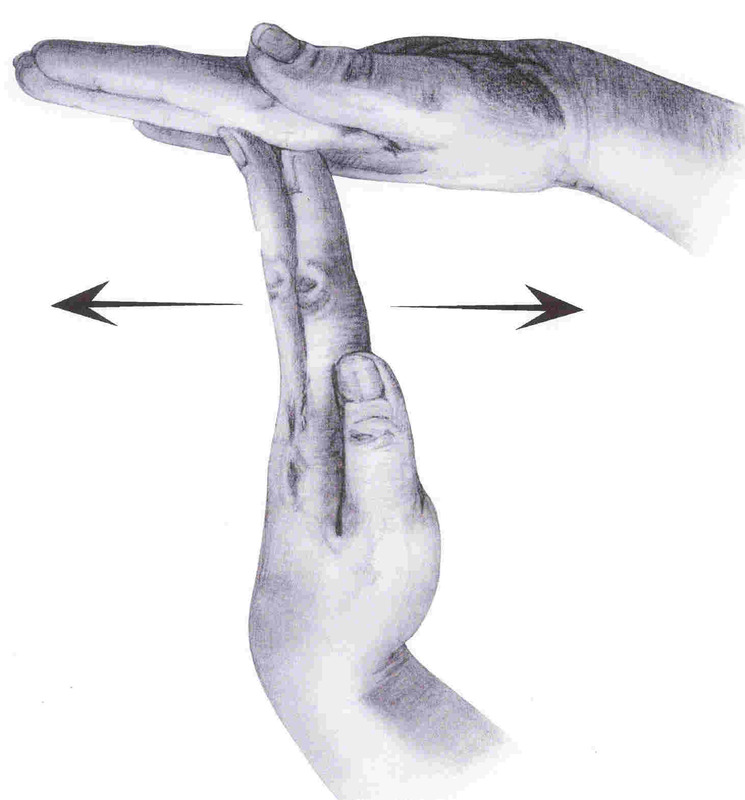 If possible, make fists and spread your fingers wide rapidly several times, to create a residual sensation. Hold up your hands as if ready to catch a fast basketball. Focus your tactile awareness in the whole of both hands and be intensely aware of every small movement of air and slight change of temperature. Continue this for a few minutes and you will feel unusual sensations in your hands: heaviness, tingling, prickling, warm or cool, or a slight buzzing feeling. Next, move this feeling from the fingertips of both hands to your wrists, then back to your fingertips, back and forth repeatedly, at about half a second each way. Continue this for a few minutes, moving your body-awareness feel through the whole of both hands. Sensations will increase, often dramatically. Acknowledgment: Special thanks to Robert Bruce for advice and assistance. Adapted from article appearing in February 2012 Paraplegia News (For subscriptions, call 602-224-0500) or go to www.pn-magazine.com.